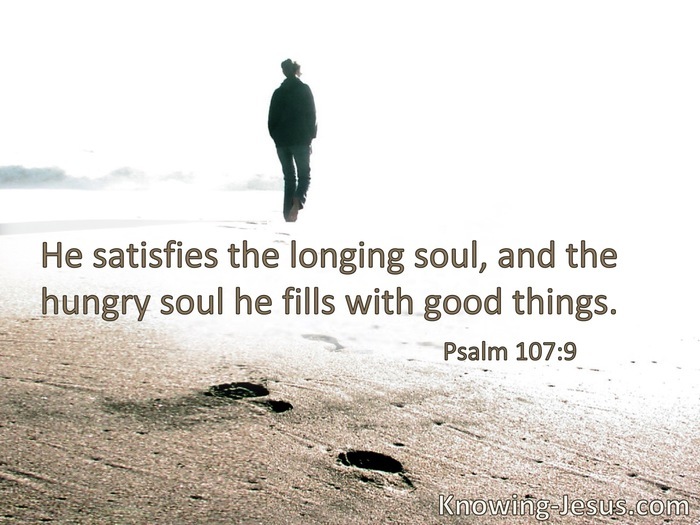 He satisfies the longing soul, andfills the hungry soul with goodness. You have tasted that the Lord is gracious. O God, You are my God; early will I seek You; my soul thirsts for You; my flesh longs for You in a dry and thirsty land where there is no water. So I have looked for You in the sanctuary, to see Your power and Your glory. § My soul longs, yes, even faints for the courts of the Lord; my heart and my flesh cry out for the living God. § Having a desire to depart and be with Christ, which is far better.